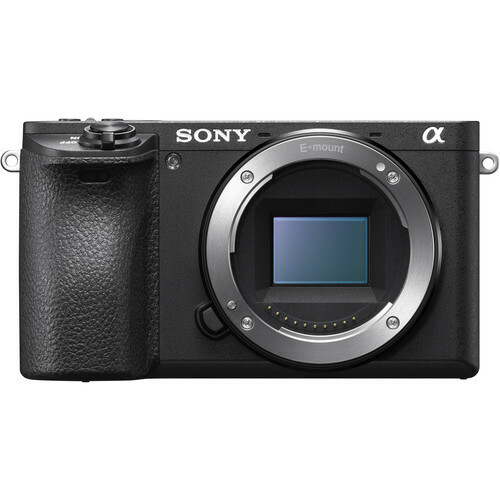 Sony has recently released their new addition to their mirrorless interchangeable lens series, the Sony A6500. 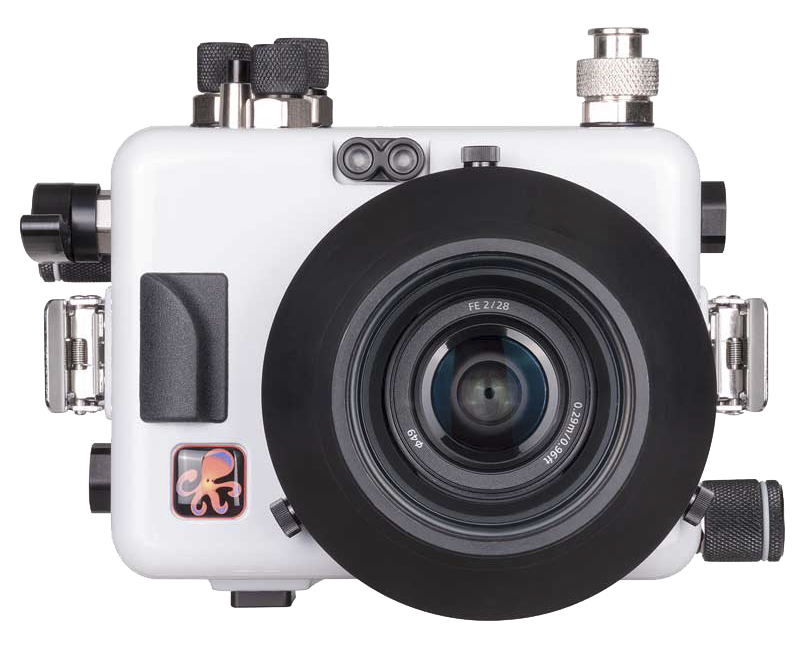 They have made significant improvements from its predecessor; 5-axis image stabilization, newly developed image processing algorithm, touchscreen focusing and higher quality 4K video recording using Super 35 feature that uses 6K of data before recording at 4K. The Aquatica housing is built from aircraft grade aluminum and stainless steel alloy which provides utmost protection for your camera. They have also designed it to be compact and lightweight. It also includes the Surveyor Monitoring System which acts as your moisture alarm with an option to add the vacuum valve, handles, hand strap, tray brackets and grid brackets. 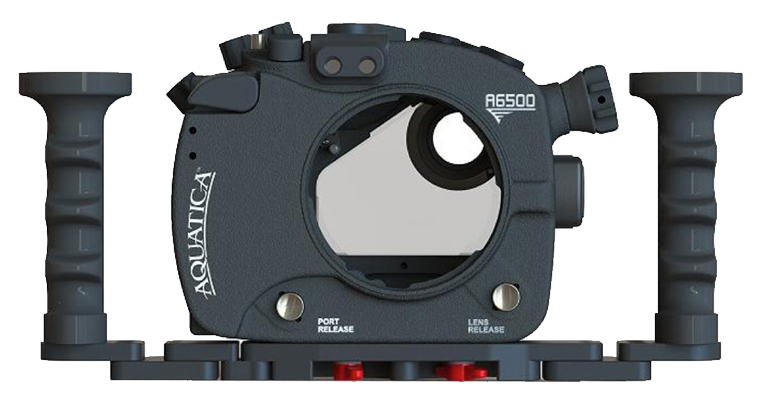 Aquatica also offers their Power Saddle, it is an optional rechargable battery which can be attached to your camera while inside the housing and is equivalent to two extra batteries. 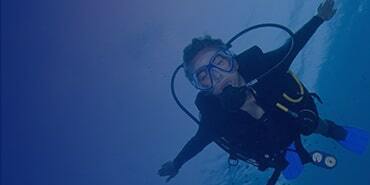 All important controls remain accessible in all dive conditions,either cold or warm, gloves or not. Choice of 3 strobe connectors - fiber optic, Nikonos type and Ikelite type connectors. Ikelite housing for the Sony A6500 camera uses the new Dry-Lock Port System. Ikelite uses their new port system on the housing for the Sony A6500. The Dry-Lock Port System is designed features a different the o-ring placement on the port which ensures that there will be no water dripping towards your camera during disassembly of your housing. Aside from that, larger diameter of lens can be used. Ikelite also used their new ABS-PC and Lexan material for the housing which provides strength, UV protection and corrosion-free performance. 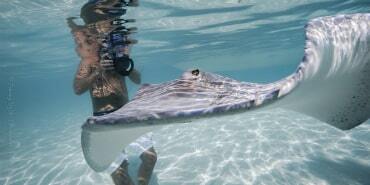 Nauticam produces high quality aluminum housings, with full camera control. 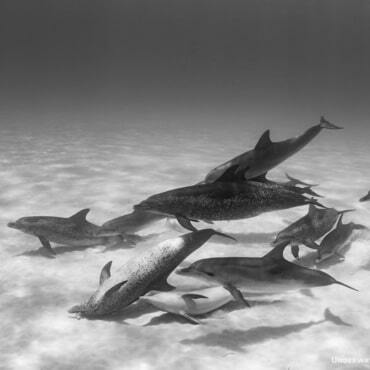 Nauticam has also reduced the size and weight. It has also an integrated vacuum monitoring and leak detection system. 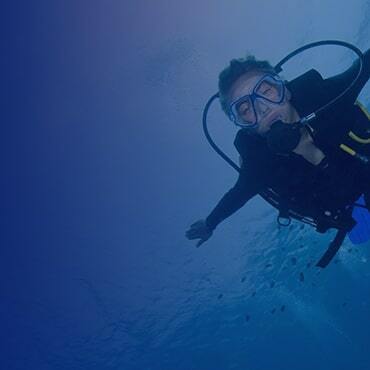 Nauticam is also well known for creating a variety of useful accessories to pair with their housings for the ultimate underwater set up. 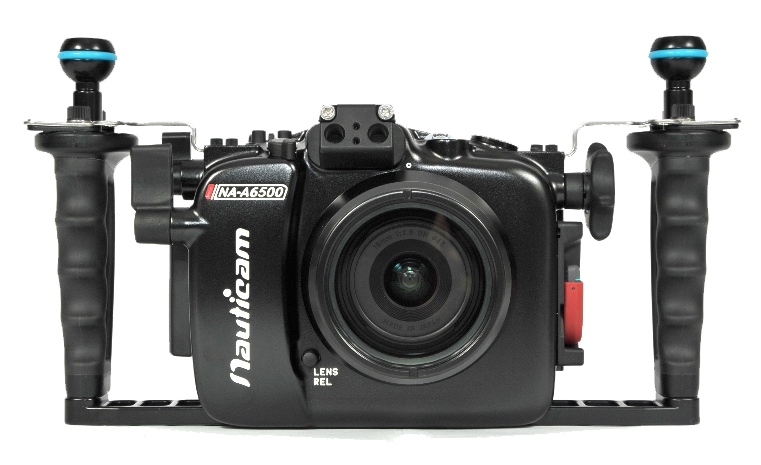 One great accessory that Nauticam offers for this housing is the Battery Pack (Nau-36331) which provides 2.5x more battery life and it slides easily inside the housing. Fantasea has produced their version of the housing for the Sony A6500, and it is compatible with its predecessor - A6300. It features a rugged yet stylish design and they kept in mind the ergonics to make sure that all essential functions can be access with ease. It includes the Moisture Detector and Alam, handstrap and body cap. 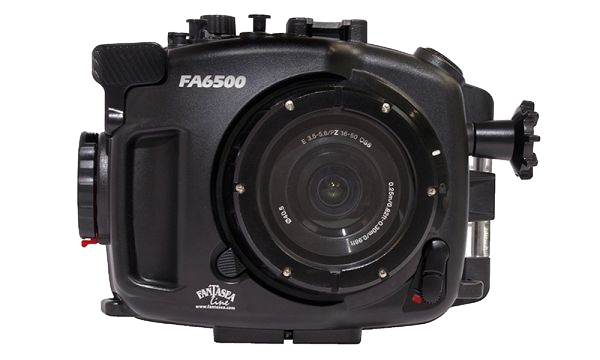 We are offering a special price on the Fantasea A6300 / A6500 Housing, Port and Zoom gear kit. 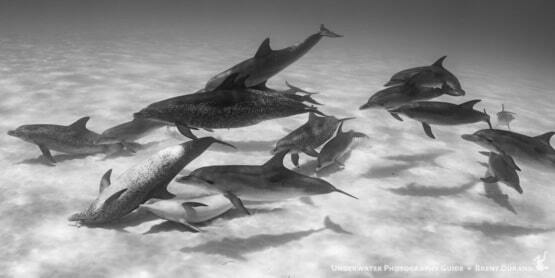 It supports both the 16-50mm zoom lens and the Sony 30mm macro lens. 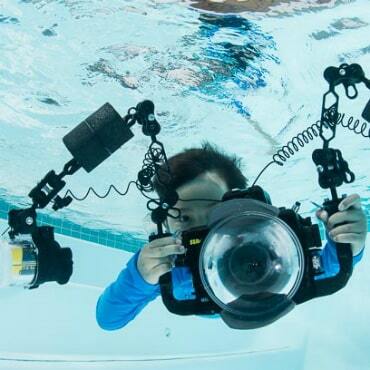 View our Sony a6500 Underwater Housing page.